Alert Protective Services is Chicago’s premier, locally owned and operated source for alarm security systems and home monitoring systems. Since 1982, they have been providing first- rate service to thousands of Chicago-area homes and businesses. Alert Protective Services is entirely Chicago based. Its owners, operators, and technicians all live within the area, so our customers don’t have to worry about out-of-town-management or monitoring. APS is always there when you need them. They provide a higher level of service to ensure your family’s safety, as well as the safety of your community. Being family owned and operated, Alert Protective Services protects your family with the same high level of protection that they use in their own homes. Although, Alert Protective Services is a Chicago-based company, they know what it takes to provide for a smaller community such as Glen Ellyn. 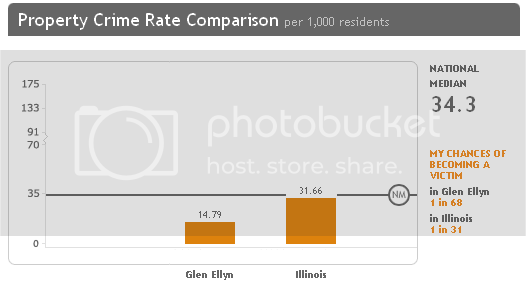 Residents of Glen Ellyn are not as threatened by the fear of a burglary, as those of Chicago. The professionals at Alert Protective Services provide exceptional service 24 hours-a-day and they know exactly what equipment fits each individuals needs. Glen Ellyn is located west of downtown Chicago in DuPage Country. The village has a population of 26,999 residents that reside in 10,207 households. The town went through several different names, including Babcock’s Grove, DuPage Center, Stacy’s Corners, Newton’s Station, Danby, Prospect Park, and finally Glen Ellyn. Despite the village’s smaller population, crime is still a cause of concern. In Glen Ellyn, the average crime rate is 62 incidents per square mile. This is relatively high compared to the national average of 49.6 incidents per square mile. However, the property crime rate is 14.79 incidents per every 1,000 residents, or 1 in every 68 people will become a victim. The statistics from last year show that out of the 26,999 residents, 400 were a victim of a property related crime and only 18 were a victim of a violent crime. You can see that although violent crime is of greatest concern to the residents, property related crimes are far more common. Glen Ellyn is a quaint, old fashioned community that places community values above all else. Residents should be aware of the possibility of a burglary, even though, it may be overlooked. Home security systems should be placed in every home and place of business. A recent study done by the FBI shows that homes with home security systems are 15 times less likely to be burglarized. Providing protection for our customers is what we do best. It is our specialty. The professionals at Alert Protection Services, unlike out-of-state services, know and understand the specific security system needs of our neighbors and businesses in the Chicagoland area. Our APS specialists will adapt the security system you prefer to your exact requirements and budget. Give us a call right now and permit us to get you started on your way to a securer and safer home and office environment.